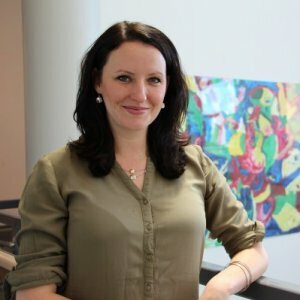 Jessica Shaw has been a sessional instructor with the Faculty of Social Work at the University of Calgary since January 2012, and has been an Assistant Professor since January 2016. Jessica was born on Manitoulin Island and grew up in rural Northern Ontario. Her experiences as a youth in a rural community helped to shape her social work understanding of the importance of service accessibility, and of the nature of dual and multiple relationships. In addition to her Social Work degrees, Jessica holds both undergraduate and graduate specializations in Women and Gender Studies, and is a DONA trained birth doula. In recognition of the need to connect full-spectrum doulas (doulas who provide services for people of all genders, in all settings, and for all pregnancy outcomes) with clients and with each other, Jessica started a full-spectrum doula collective in 2014. Jessica is widely known for her work as the Research Coordinator at Canadians for Choice (now Action Canada for Sexual Health and Rights), where she produced the report Reality check: A close look at accessing abortion services in Canadian hospitals. Jessica’s work on abortion access has been recognized nationally and internationally. Currently, Jessica serves on the Board of Directors for Women Help Women, an international organization that bridges the gap between abortion rights advocacy and service provision. Jessica is currently involved with a number of research projects related to medical assistance in dying (MAiD) in Canada. She has worked with the first cohort of physicians who have provided MAiD (outside of Québec), and has documented their experiences, as well as the experiences of their patients and the patients’ family and friends. Her most recent study is a Participatory Action Research project that explores the perceptions and experiences of MAiD within highly marginalized populations. Jessica is also invested in understanding marginalized experiences of reproductive rights, sexual rights, self-determination in healthcare, and body positivity, including: cishet, queer, and transgender menstrual and pregnancy experiences; menstrual extraction; abortion and birth doulas; self-managed abortion; the midwifery model of care; polyamory and relationship orientation; naturism. 2013 - Awarded for advocacy work to advance abortion rights in Canada. 2011 - Awarded for innovation in the pursuit of social justice. Twenty-five years after the legal decision that decriminalized abortion in Canada, significant barriers and issues continue to impact the ability of women to exercise their right to bodily integrity. Provinces have abdicated their responsibility to provide adequate abortion access; Members of Parliament continue to introduce and entertain anti-abortion motions and bills; Crisis Pregnancy Centres and anti-abortion advocates perpetuate myths; and women continue to face judgment for controlling their reproduction. The Canadian Association of Social Workers articulates that social workers have an ethical obligation to work towards social justice for all. This paper serves to explain why abortion is still a critical social justice issue, and compels readers to take action against the reproductive oppression of women. This paper argues that not only is there a relationship between birth activism and abortion activism, but that if empowering women is the goal, the two cannot be separated. By understanding how women's bodies have been controlled and their reproductive lives appropriated, the current pro-choice and birth activist frameworks that are used to advocate for women can no longer be understood to address women’s needs. It is by working through the framework of full-spectrum reproductive justice that women may become truly empowered to regain control over their reproductive lives. Through the medicalization of women's bodies, the credibility and traditional knowledge of midwives and healers was forcibly lost. Northern Aboriginal communities continue to be especially impacted by the medicalization of birth. In recent years, there has been a resurgence in midwifery that is framed by a feminist discourse of women's reproductive rights. Many researchers believe that women who choose midwifery are exercising a conscious choice of resistance to the medicalization of women's bodies. In this article, I offer a review of the literature on how the medicalization of birth is conceptualized in relation to women's birthing experiences in Canada.